As your South Hills Nissan dealer, we are proud to have the best new car deals on Nissan models throughout Allegheny County! Our Nissan financial services team specializes in creating lease offers that fit your budget without having you bend over backwards on payments. Whether you’re interested in the widely popular new Nissan Sentra, the reliable Nissan Altima or the precise Nissan Rogue Sport, you can count on our South Hills Nissan dealer to have the best prices on Nissan lease specials near Pittsburgh, Bethel Park. If your interest may lie in a new Nissan Rogue or Nissan Kicks our Nissan financial team is still able to help you! Don’t hesitate to call our sales team, submit a contact form or stop by our South Hills Nissan dealership located at 3200 W Liberty Ave, Pittsburgh, PA 15216 near Dormont! If you’ve been searching through our new cars for sale and the pricing of a new Nissan vehicle seems to be a little out of your budget range, there is a very good chance our Nissan financial services team is able to arrange a payment plan specifically just for you. Here at Cochran Nissan of South Hills, we want to make sure our customers not only drive away comfortably in the seat of a new Nissan model, but also have peace of mind when thinking about their monthly payment. 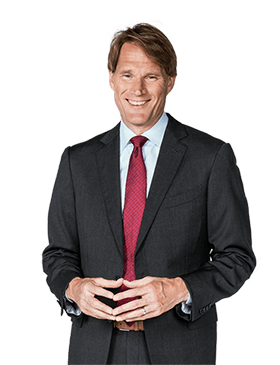 When it comes to new Nissan lease pricing, our new car deals offered at Cochran Nissan of South Hills are the most competitive throughout Allegheny County! Browse through our Nissan lease specials listed above and choose the model offer of your choice. We welcome and service all surrounding areas including Pittsburgh, and as far as Bethel Park, Dormont! If you can’t find an offer on a specific Nissan model, contact us immediately and we’ll begin the search for you! Interested in learning more about the newest Nissan models? View the new Nissan model lineup available at Cochran Nissan of South Hills! Cochran Nissan of South Hills in Allegheny County has low APR offers on new Nissan models. We are proud to have the best deals on new car financing on a new Nissan! Use our Car Loan Calculator to get an idea of what your payment would be at the interest rate you would like! At Cochran Nissan of South Hills we can even help you with financing options. Once you talk to our financial department, you are one step closer to approved car financing. Cochran Nissan of South Hills offers a range of new car finance specials and incentives, as well as low APR and low pricing options in South Hills and as far as Bethel Park, Dormont, Mount Lebanon, Green Tree! Want to learn more about some of our new models? 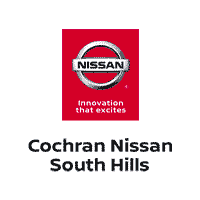 Check out the new Nissan cars, SUVs, mini vans and crossovers at Cochran Nissan of South Hills. To learn more about our year-long and season specials on models such as Sentra, Altima, Rogue Sport, Rogue, Kicks, call one of the Cochran Nissan of South Hills sale associates today at (412)245-4540.